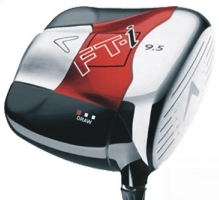 460cc Complete Inertial Design - Positions discretionary weight to the extreme corners of the clubhead, raising the MOI for unparalleled resistance to twisting both horizontally and vertically, providing forgiveness on shots hit all over the face. Fusion Technology - Proprietary technology creates maximum perimeter weighting and more discretionary weight for precise positioning of the CG and exceptional stability on off-center hits, enabling ball flight customization for optimal individual performance. Carbon Composite Body - The material used to make the body is significantly lighter than titanium, allowing Callaway Golf engineers to move discretionary weight where it is needed most, resulting in better stability and distance. CT/VFT Titanium Cup Face - Callaway's largest, hottest face for increased ball speed on shots hit all over the face.